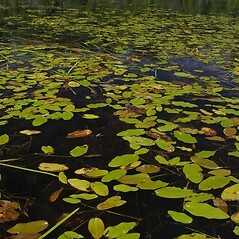 Floating pondweed has a circumboreal distribution. 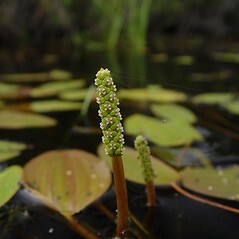 It is very common in the north temperate zone and throughout New England. 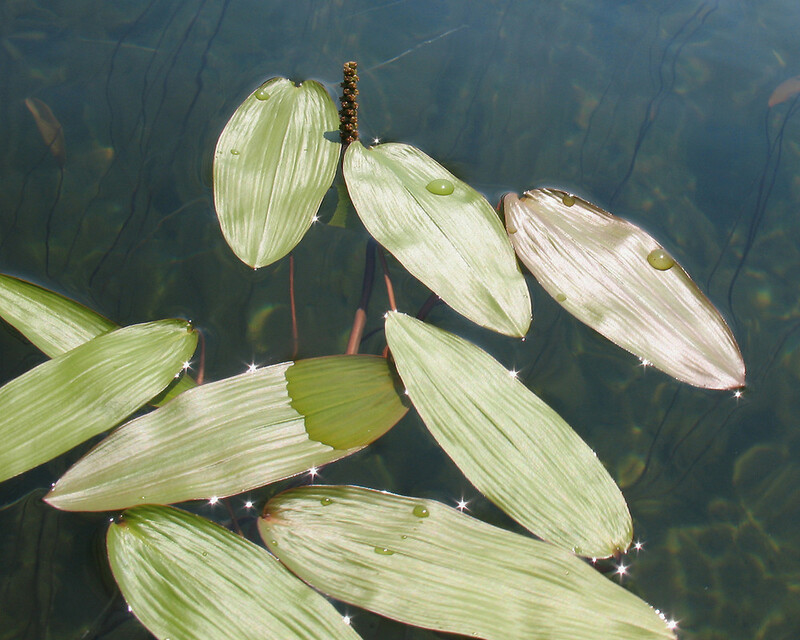 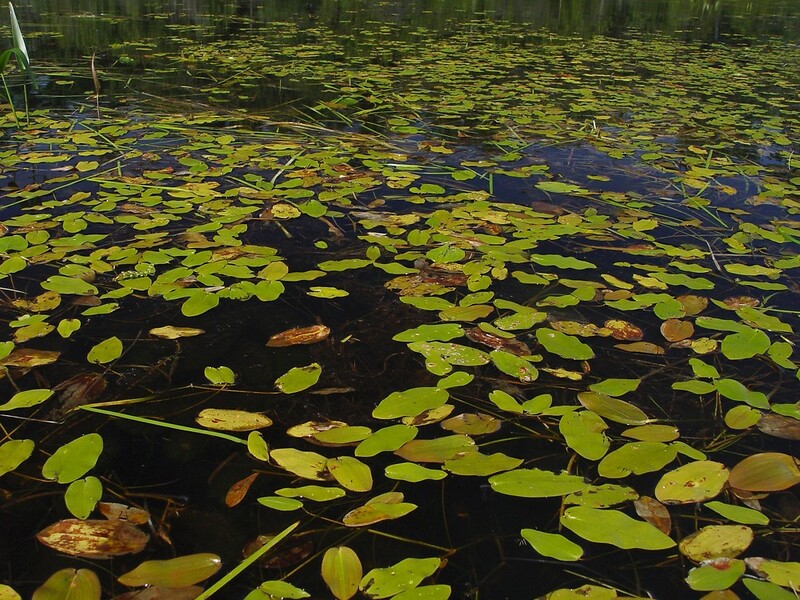 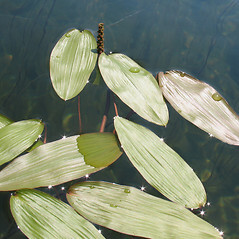 The shape of the floating leaves depends on the speed of the current, with faster current resulting in more elongate the leaves and less cordate leaf bases. 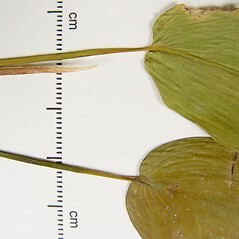 submersed leaf blades 0.2-1 mm wide and floating leaf blades tapering to the base (vs. P. natans, with the submersed leaf blades 0.8-2 mm wide and floating leaf blades usually round to slightly cordate at the base). 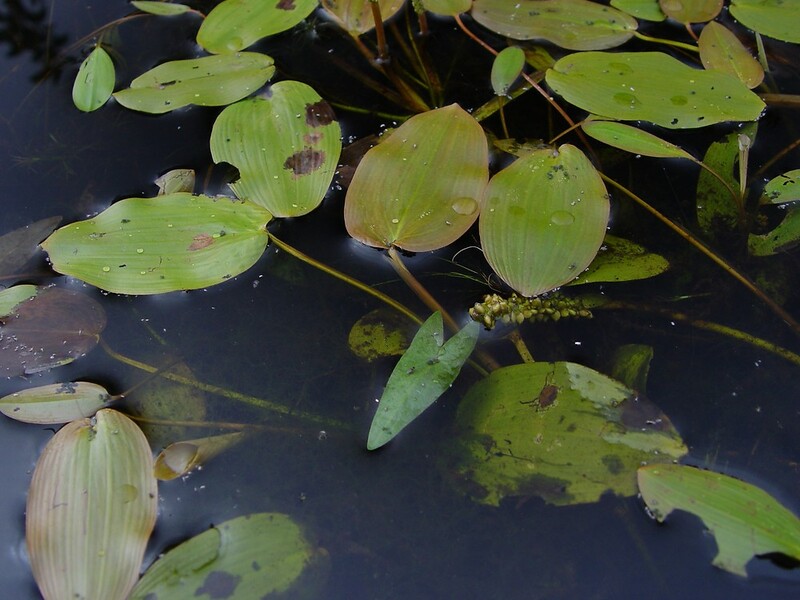 Floating pondweed. 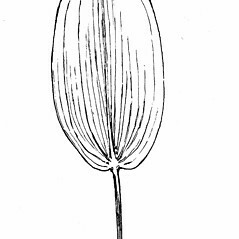 CT, MA, ME, NH, RI, VT; throughout. 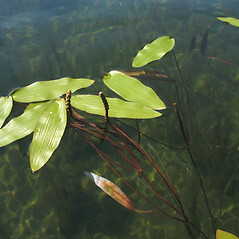 Shallow, still or slow-moving, acidic to basic water of lakes and rivers, sometimes stranded on mud along tidal streams. 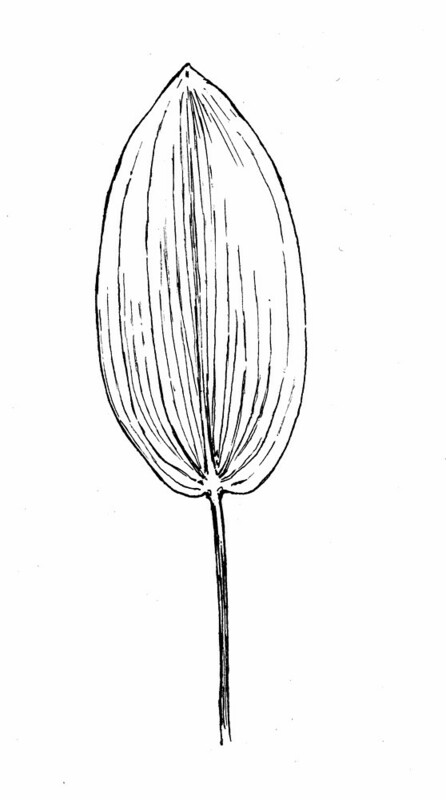 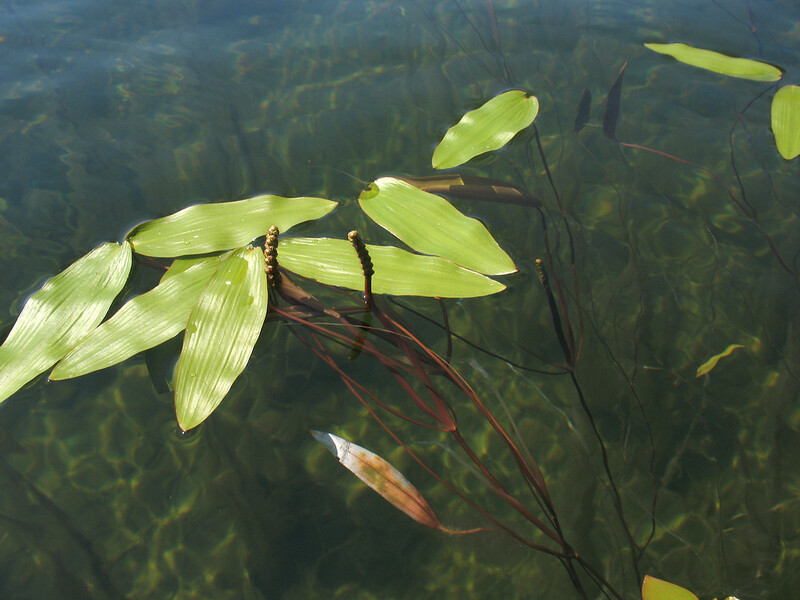 Potamogeton natans, like many other species of pondweed, is capable of tremendous morphological variation. 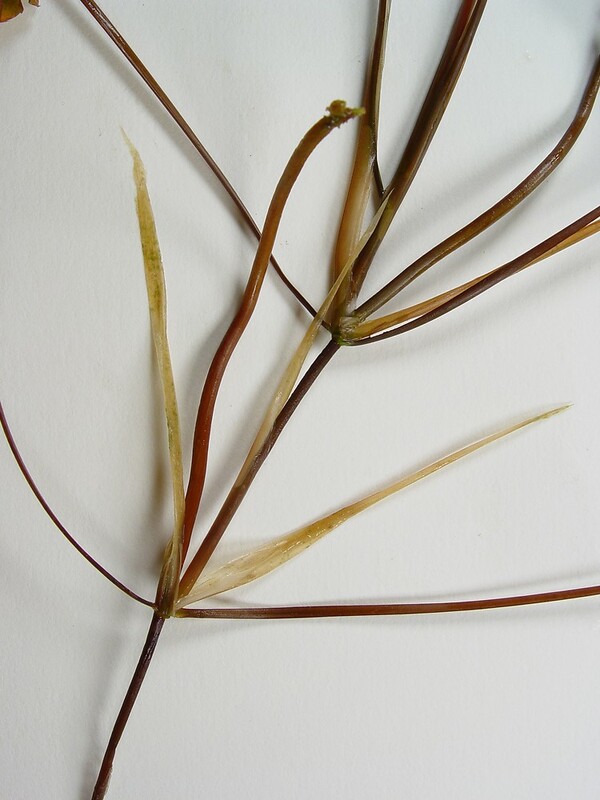 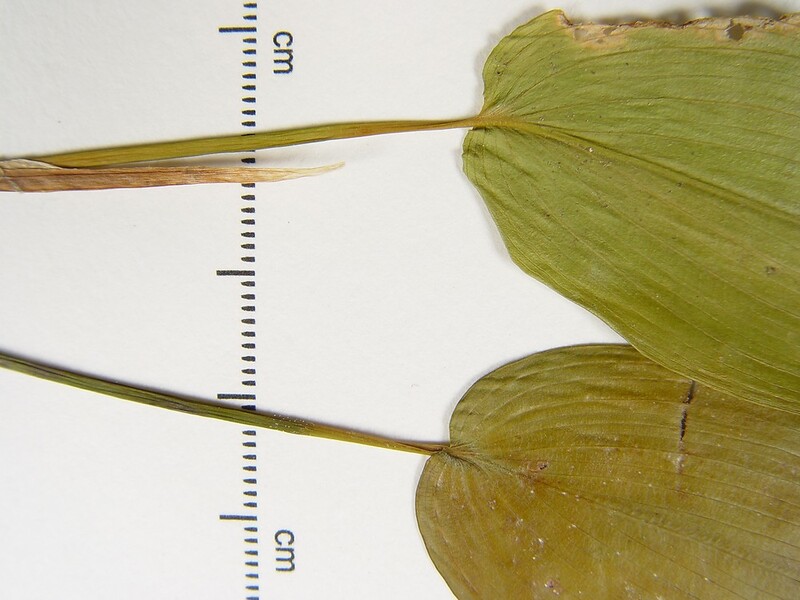 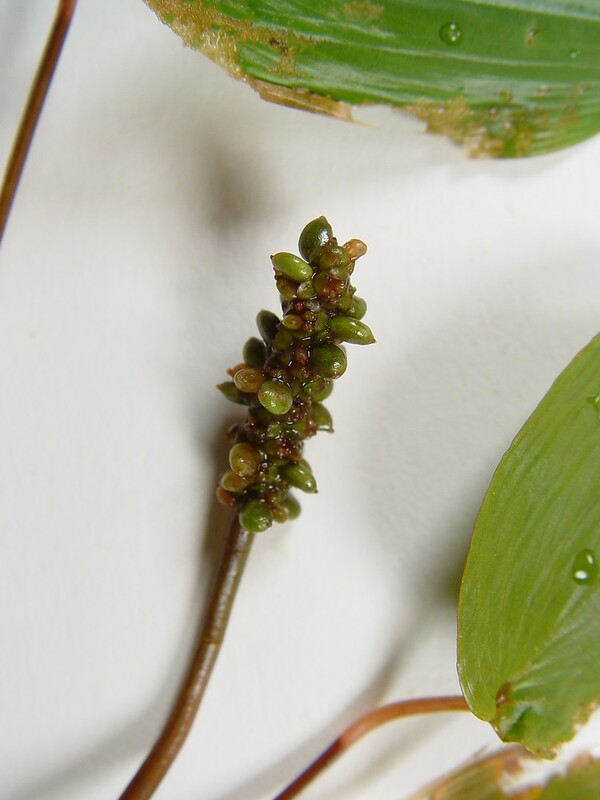 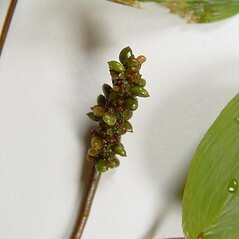 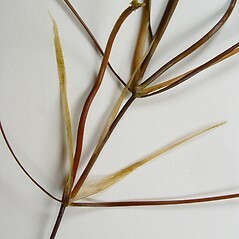 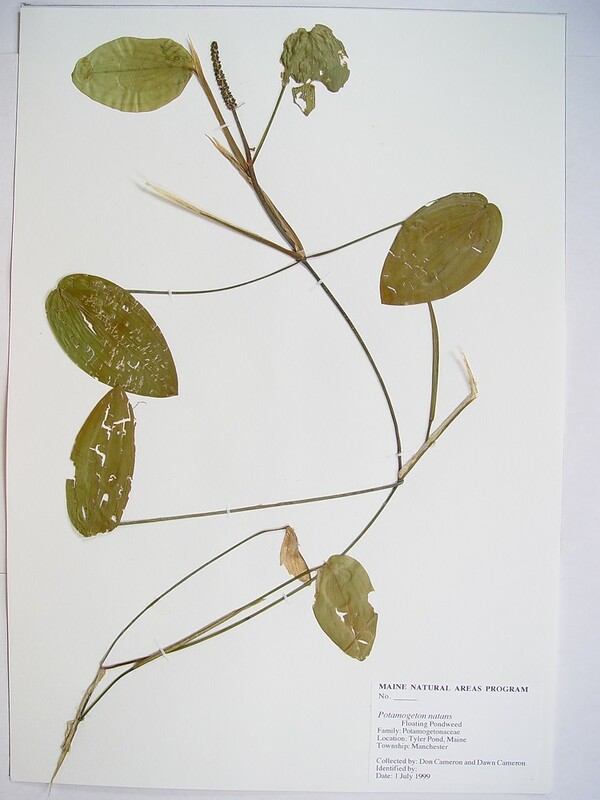 In still water its leaf blades are broad and subcordate at the base. 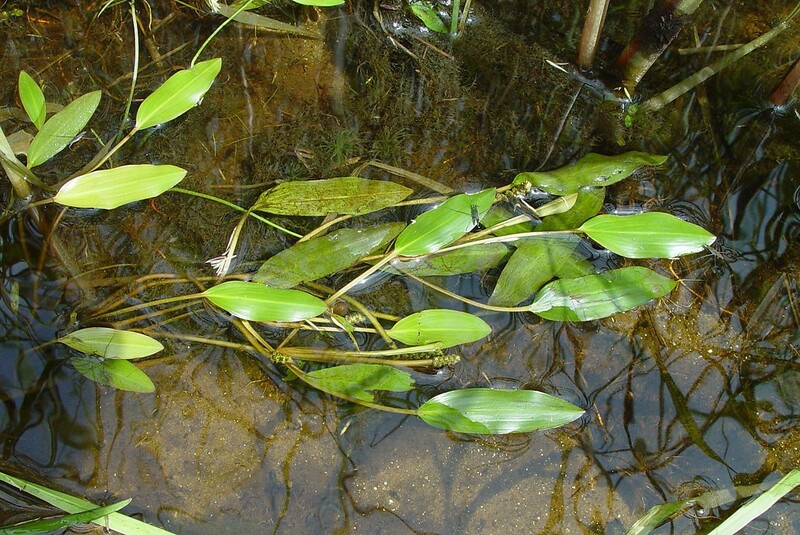 In flowing or tidal water, the leaf blades become narrower and the bases tapered. 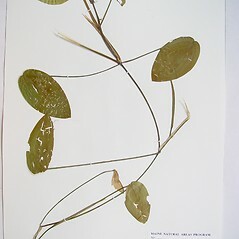 11×14. 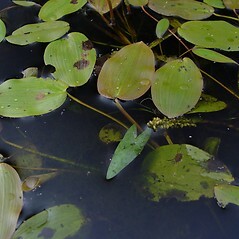 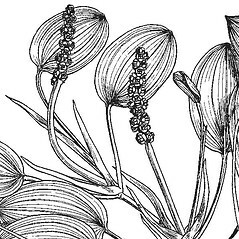 Potamogeton gramineus × Potamogeton natans → Potamogeton ×‌sparganiifolius Laestad. 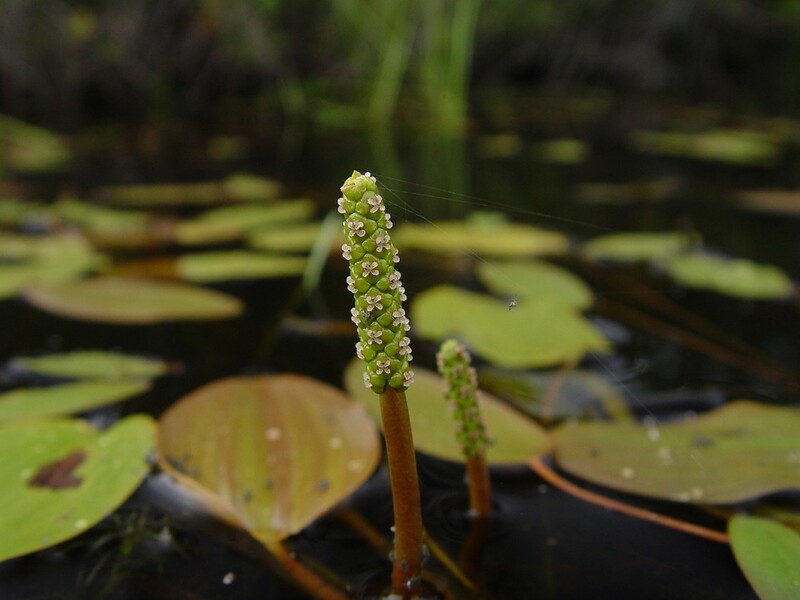 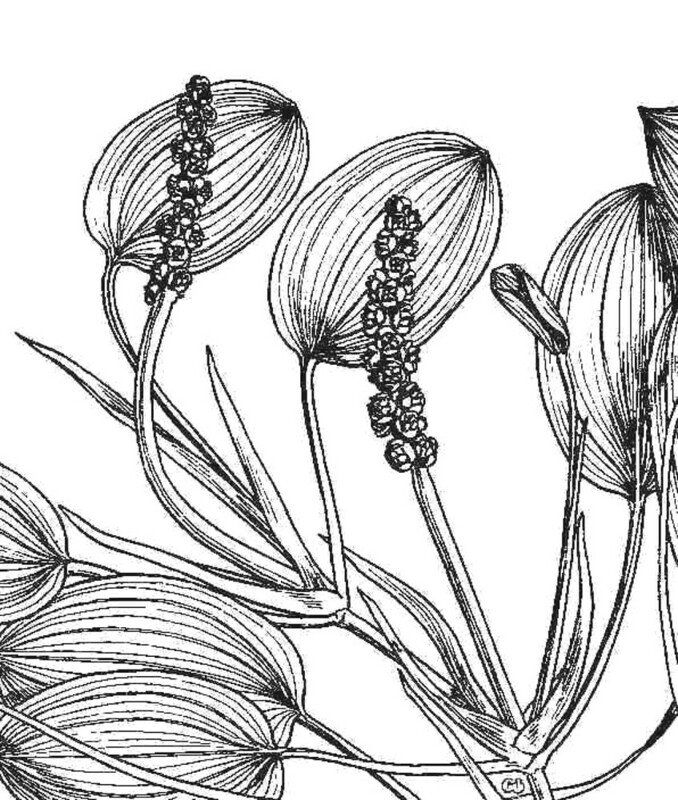 ex Fries is a rare pondweed hybrid known from NH; also reported from MA by Angelo and Boufford (2000), but specimens are unknown. 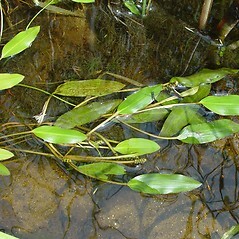 It ± resembles P. oakesianus, but the submersed leaves have expanded, narrow, green blades near the apex (instead of all being phyllodial and lacking blades).